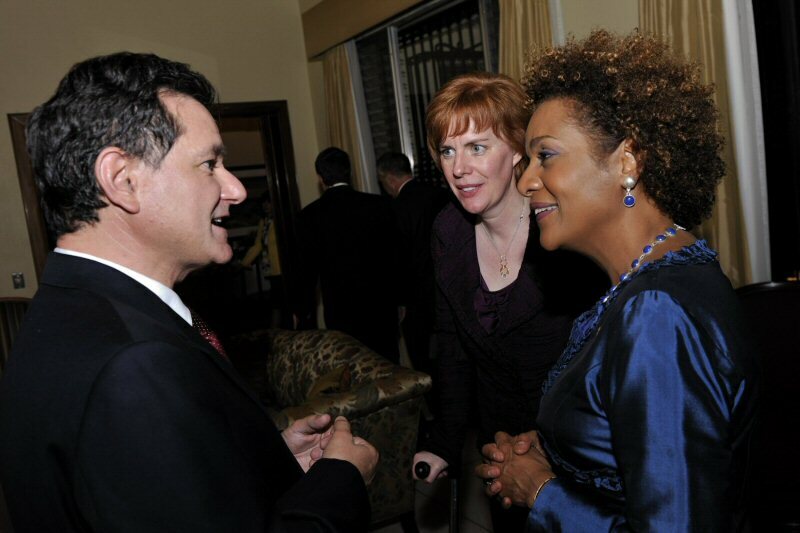 OTTAWA, ONTARIO--(Marketwire - Dec. 11, 2009) - Their Excellencies the Right Honourable Michaelle Jean, Governor General of Canada, and her husband, Mr. Jean-Daniel Lafond, met yesterday with Mr. Carlos Castresana Fernandez, Commissioner of the International Commission Against Impunity in Guatemala (CICIG). During the meeting, the Governor General congratulated Mr. Castresana on his accomplishments as commissioner of the CICIG. They also discussed how security reforms can be directed towards meeting the needs of some of the most vulnerable segments of the population, such as women, youth and Aboriginals. The CICIG is a major initiative involving members of the international community and Guatemalan society in the fight against corruption in government institutions and the business community. Its mandate serves to uncover and dismantle organized criminal activities, both within and outside of the State, and to strengthen police and judicial frameworks and institutions. You will find on Marketwire's website a photo of the Governor General of Canada and the Commissioner of the International Commission Against Impunity in Guatemala during their meeting at the official residence of the Ambassador to Canada, in Guatemala City. During their visit to Guatemala, Their Excellencies will meet with representatives from non-governmental organizations, most of whom are women, members of civil society and Aboriginal leaders. Their Excellencies will also visit projects led by the Canadian International Development Agency (CIDA) to reduce poverty and increase job creation.